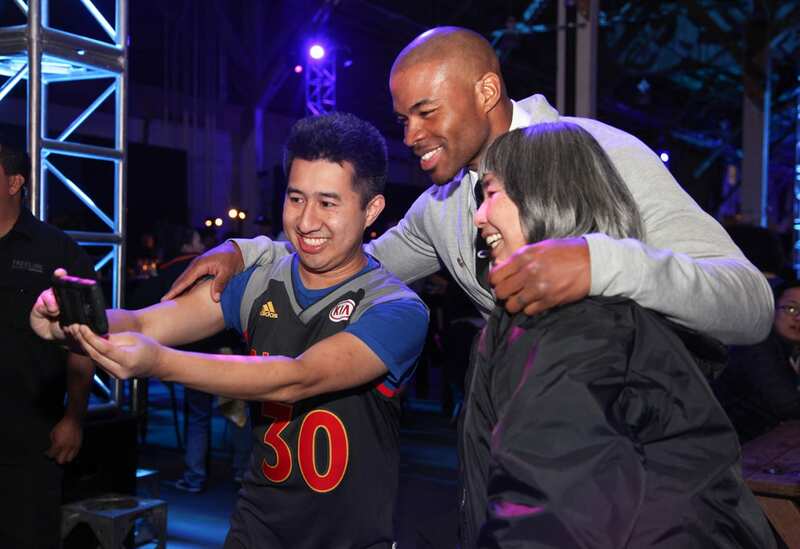 American Express, in the fourth and final of its All for Dub Nation Watch Parties this season, put its merchant partners—rather than cardmembers—front and center at a gathering on San Francisco’s Pier 35 on The Embarcadero to cheer on the Golden State Warriors as they defeated the New Orleans Pelicans. 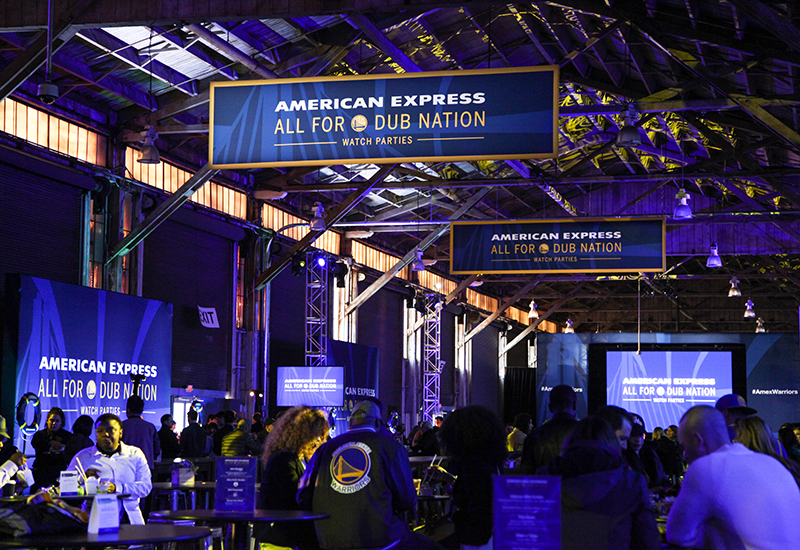 As official card of the Golden State Warriors, American Express leveraged the partnership to create cardmember events, including three All for Dub Nation Watch Parties, and fan moments at Oracle Arena. One watch party featured food from Bay Area native Tyler Florence, another was a “Throwback Thursday” event and the third took place on the Bay itself on a Hornblower excursion yacht. The final watch party of the season, its biggest so far, took place on April 8 exclusively for local American Express merchants. 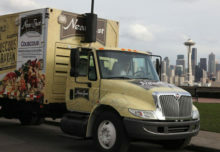 More than 26,000 businesses in the Bay Area began accepting American Express in the past year. In addition to watching the game on big screens throughout the space, attendees could shoot hoops at the American Express fan van mini basketball court, rub shoulders with Warriors talent and sample food and beverages brought in by merchants in the San Francisco Bay Area such as Three Twins Ice Cream, The Candy Store, and Jackson Family Wines, which is part of the Warriors Wine Society. 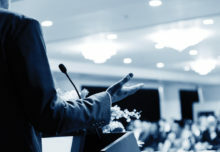 “This was one way in which we wanted to demonstrate to merchants that we have a connection to them, we can give back to them and show them something that they love,” says Danielle Wallis, vp-merchant services, U.S. industry development, at American Express. “It was free and a chance to thank them and was part of our broader strategy to give back to our merchants in different ways.” Agency: Momentum Worldwide, New York City. In addition to watching the game, attendees could shoot hoops at the fan van court and rub shoulders with Warriors talent.